Deepest Dalston – where hipsters lurk behind every chip shop/tattoo parlour. I’m always a bit wary of gigs around there, worried I’ll be overwhelmed by a bearded and brogued buttoned-up brigade of the cooler than cool and the trendier than the trend you haven’t heard of yet. However, last night my fears were completely unfounded and I was instead treated to a beautiful evening at the Servant Jazz Quarters, organised by up-and-coming singer/songwriter Ralegh Long and Gare Du Nord, the label he founded this year with Rotifer frontman Robert Rotifer and Ian Button, who releases under the name Papernut Cambridge. It was one of the loveliest events I’ve attended in a long time, the tiny but thoroughly charming venue playing host to three generations of musicians who are all connected via good intentions and have an obvious mutual admiration for each other – Darren Hayman, John Howard, and Long himself. It was an unpretentious, genuine, joyful night of music. 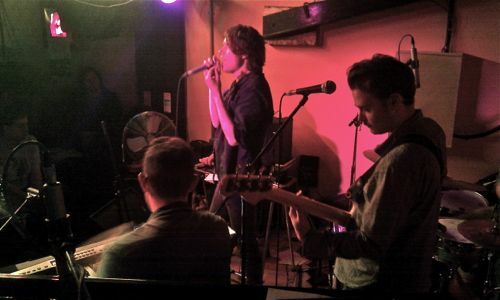 Not knowing much of any of them previously, I went along as Neon Filler’s representative, as the site is a champion of all three acts and played a small part in connecting Long and Howard via email, something Howard acknowledged on the night. Darren Hayman, formerly of 1990s indie band Hefner and now a prolific solo artist, opened with his thoughtful, articulate, funny and sincere songs, which reminded me a bit of an English Neil Young, but quirkier. Just him and his guitar, he played impeccably, his lyrics sweet and honest. 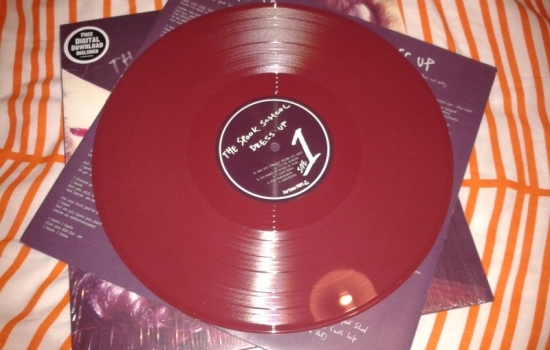 Highlights included I Know I Fucked Up, from his 2012 January Songs album and originally recorded with vocals from Allo Darlin’s Elizabeth Morris. Another was I Taught You How To Dance, from 2011’s The Ship’s Piano. I’ll definitely be looking up more of his solo work, as I think there’s a lot more for me to learn here. And then there was John Howard, and all I could think was ‘THIS is how it’s done’. I swiftly realised we were in the presence of an old-school master. Once touted as the next big thing his is a story of the almost made it, a tale of the machinations of the music industry, dropped in the 1970s, only to experience a resurrection since the early 2000s, that has included influencing emerging artists like Long. 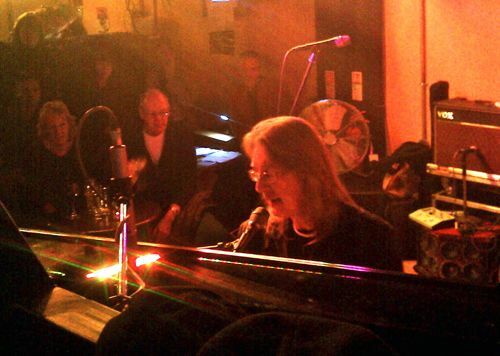 His are piano-driven pop ballads that I would liken to early Elton John with a bit of Bowie. The songs have a slight glam, show-tunes touch, but they don’t feel dated or twee – instead, it’s mood-enhancing music with a story to tell, songs that you feel you’ve known your whole life. And he’s also just such a nice man. He played from classic album Kid in a Big World, and tunes from new album Storeys, telling tales from a block of flats. He also covered Bowie’s The Bewlay Brothers so perfectly, to my utter delight. That was the highlight of a set, that also featured Rotifer, Button and Acid Jazz man Andy Lewis as his backing band. Howard’s influence is evident in Ralegh Long’s work, during a set that was packed full of melodic, sweeping songs, that were lifted with the help of his great band that included pedal steel played by another ex-Hefner man Jack Hayter. But it’s the piano that takes centre stage again, beautifully done, stirring stuff. With indie music too often guitar focused, it was really refreshing to have the piano front and centre for an evening. Long more than lived up to the ‘one to watch for 2013’ tag were thrust upon him earlier this year as he played from his most recent EP The Gift and his soon-to-be-released debut album. In all, a great night of wonderful music by a collection of musicians in the great spirit of influencing each other and helping each other. Feel good factor 50. 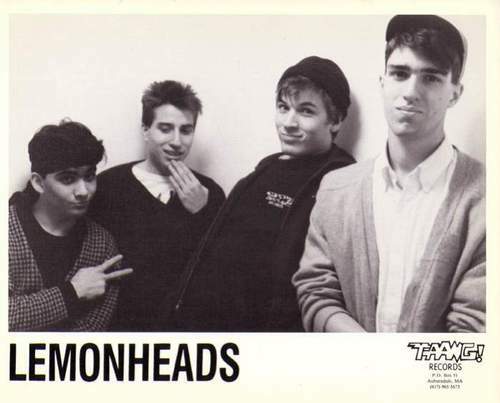 Lemonheads were the band I saw the most live back in the late 1980s and early 1990s. 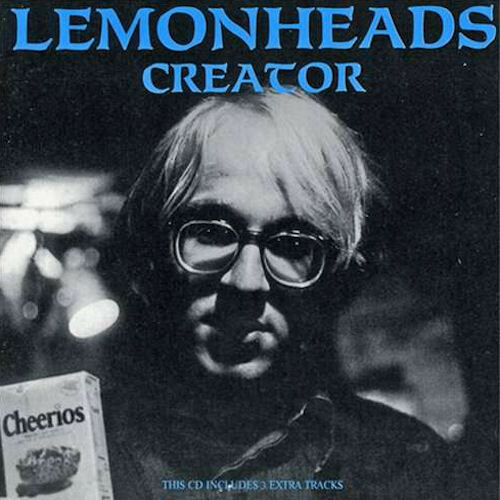 Tragically though I never got to see them with Ben Deily, who along with Evan Dando was one of the band’s main creative forces in their early days. But by the end of their first three albums Hate Your Friends(1987), Creator (1988) and Lick (1988) Deily had quit to return to college and eventually a successful career in advertising, while Dando was tasked with taking the band into major label success. Listening back to these three albums, which have been reissued this year by Fire Records and were originally released on the Boston based Taang label, they show two great songwriting talents in Dando and Deily. Back in 1987 with Hate Your Friends Deily was clearly the dominant song writing talent. His tracks were far more melodic and pop focused, and clearly influenced by the likes Dag Nasty and Descendents. In contrast Evan Dando sounds like a composer at the start of a career, with his tracks packed full of attitude to make up for their lack of melody. Take the Dando tracks Don’t Tell Yourself Its Ok or Fed Up for example. They’ve got a great feel to them but structurally still basic compared to the passion of Deily’s Second Chance, the best track on this album. With Creator the improvement in both Dando’s and Deily’s songwriting is clear, as if their progression is spurring each other on to do better. This mutual development is a key reason why it is the best album of the three. The intro to album opener, Deily’s Burying Ground, is more intricate than his tracks on Hate Your Friends, with some clear development on those DC punk influences, especially with the Minor Threat style middle eighth. But when Clang Bang Clang comes in Dando shows himself to have also progressed as a songwriter. 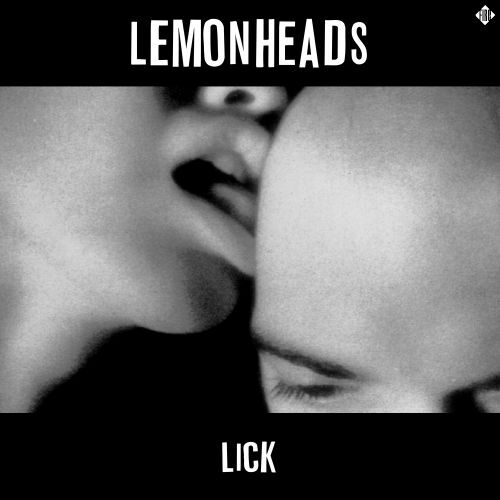 This is one of a number of glimpses on this album of the more pop focused sound that would come to typify Lemonheads from their Atlantic days onwards. Dando’s tracks then get even better with Out, with his deep voice shining through. But he’s not quite there yet as an equal with Deily. It is a Deily track Postcard, with just vocals and acoustic guitar, that is the best on this album and sets the bar the highest for both songwriters. Dando didn’t have his own answer to Postcard, although his version of the Charles Manso acoustic guitar number ‘Your Home is Where You’re Happy’ is still well executed even if it is a cover. With Lick Dando has once again upped his game. Opener Mallo Cup is an instant classic and Dando’s best on the album. The lyrics “Here I am outside your house at 3 a.m. Try’n to think you out of bed. I whistle at your sill, it echoes ‘cross the street instead. I never will forget” perfectly captured the hearts of the thousands of indie kids that would continue adoring Dando for years to come. But Ben Deily, who by now is dreaming of class rooms rather than sound checks, is not done yet with this band. Seven Powers is just sensational and for me the best song across all three of these albums and certainly the one I wore out the most back in the late 1980s. Sadly the rest of Lick is not as great as Creator and there’s even a little regression in terms of songwriting from both Dando and Deily on the rest of the album, which descends into standard punk numbers like Sad Girl and I Am A Rabbit, puntcuated with a fine run through of Susanne Vega’s Luka. These are playful tracks, but Deily in particular was clearly growing up faster on this album than his bandmates and it sounds either like his heart really wasn’t really in it or he was giving it one last blast for old time’s sake. There’s a lot of love and friendship on these three albums, especially in the excellent live and demo extras on the reissues. But above all its about how two songwriters of the late 1980s US indie rock scene developed and got better over the space of a few short years. We all know about Dando’s talent but Deily, who still performs with his band Varsity Drag, has been cruelly overlooked as one of the great songwriters of this era, something I hope changes as more people hear these classic albums. Public Service Broadcasting offer one of the more remarkable and novel live experiences, blending samples of wartime public information films and accompanying visuals with a surging rock backing. It is brilliantly effective, making one wonder why such an approach hasn’t been utilised to such an extent before. 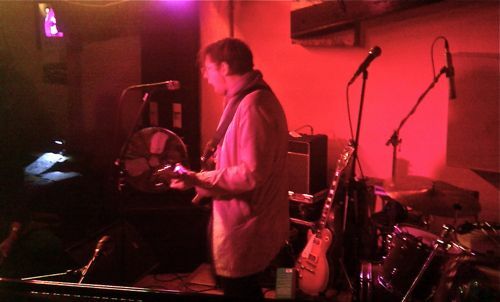 The duo comprises Wrigglesworth on drums (pictured left) and J Willgoose (pictured right) on, as he describes it, ‘everything else’, which tonight means banjo, guitar, sampler and other electronic instruments. The band is the brainchild of J Willgoose, who is something of a virtuoso, being able to play keyboard backing while also laying down a guitar riff with one hand and hitting sample tabs at the same time. The band has been allowed unparalleled access to the British Film Institute’s archives, delving into old footage and propaganda material to lay down the basis of their tracks. With its mission statement of ‘teach the lessons of the past through the music of the future’, the band start in titillating fashion by warning against the threat of mobile phone recordings at gigs, something the crowd audibly appreciates. First up is London Can Take It, sampling a 1940s Ministry of Information film covering the Blitz. PSB deal heavily in nostalgia, with If War Should Come featuring uplifting messages about impending tussles with the Jerries. The Now Generation is based on old fashion shoots, including clipped tones promoting skirts with pleats, backed with a furious tempo and a taut guitar riff. At one point the narrator points out the ‘new fashion to look old fashioned’, a phrase rendered particularly resonant by J Willgoose’s outfit, all hipster retro-geek with tweed jacket and bow tie. The stand-out tracks of the night are Spitfire, a rock-out tribute to the famed Battle of Britain machines, the more electronic ROYGBIV featuring J Willgoose on Banjo, and Everest, charting climbers Hillary and Tenzing as they ‘carve steps into the roof of the world’. At their best Public Service Broadcasting are brilliantly thrilling and haunting at the same time, leaving the mainly young crowd wondering how they can feel so nostalgic for a period of history in which they never existed. If there is one drawback to the band (or is it more of a ‘concept’ than a band? ), then it lies in what on earth they will go on to do next. Two new tracks, both based on ice skating and narrated in Dutch are, according to J Willgoose, the ‘logical next step’. However, these tracks fail to arouse the crowd, particularly as they can’t actually understand what is being said by the sampled narrator. 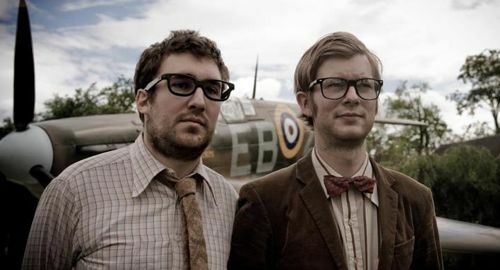 Nevertheless, as images of steam trains, fighter pilots and warships flash past on the screens and banks of old television sets mounted on stage, the crowd is completely absorbed by what Public Service Broadcasting have to offer. If this is indeed a novelty, then it is mighty fine one. Jolly good show chaps! 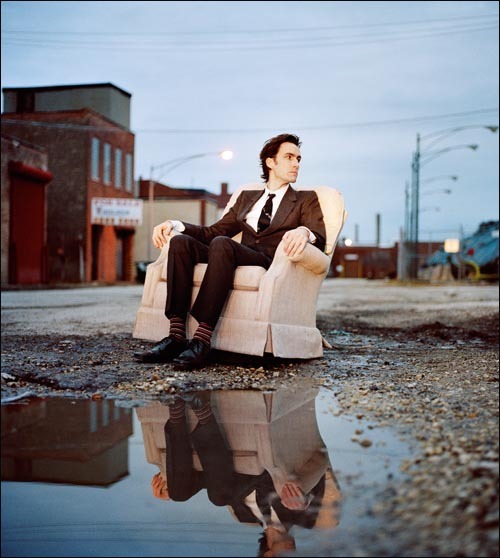 With his marvellous voice, inventive song writing, excellent violin playing and live looping skills Andrew Bird is an exceptional talent. But just as you think he’s about to hit the big time, after releasing his most accessible work to date with 2012’s Break It Yourself, he then releases just about the most uncommercial concept – a seven track EP with only one song and six violin based classical instrumentals. The key track that is blanketed in these lush orchestral numbers is Pulaski at Night, arguably one of Bird’s best ever tracks and focused on a friend’s desire to see Chicago’s Pulaski Road at night (according to some local reports its not the kind of road where visiting at night is advisable unless you want to meet prostitutes or get arrested). Emotional and inventively arranged it is everything Bird fans love in his work all wrapped up in a few minutes. And while the instrumentals that surround it are a commercial non-starter they are superb and (to be said in the voice of a teenager from Bristol) “lush, just lush”. As inaccessible as his latest concept is you have to admire his balls for chucking this out just as he is getting a wider appeal. I like him all the more for it, but at the same time over recent releases I’ve realised that of all his talents it is his voice that is perhaps the best. I hope for future releases we get to hear more of it. 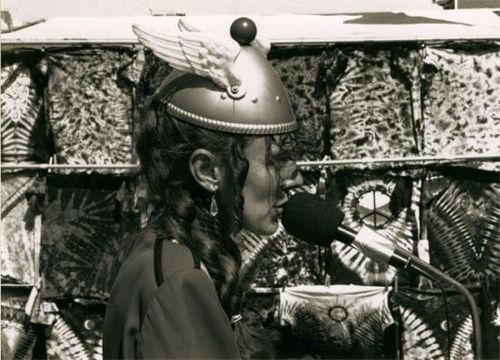 Anyone whose uber-unique life has taken in everything from homelessness, UFO sightings, hiding from the US government (her partner was a military draft evader in the 1960s) and 30 years of building up cult status as a winged helmet wearing busker through her tenures in Boston in the 1980s and the gay district of San Francisco throughout the 1990s, could only really be capable of producing idiosyncratic art such as this. Somewhat humorously titled ‘Greatest Hits,’ this collection of songs, originally self-released in 1990 on hand-made cassette, is a recorded document of The Space Lady’s life on the streets, storefronts and subways of America. Her set up is rather simple: a battery powered Casio keyboard, vocal microphone and echo and phaser controls, all of which provide the peculiar shapes and trippy intergalactic sounds that uniquely interpret what are mostly cover versions of classic rock and pop tunes. Original track ‘Humdinger,’ is a charming opener to the album with an accessible melody and a lyrical nod to her beloved ‘souped-up Casio’ which provides her ultra-distinctive sound. Another self-penned tune ‘Synthesise Me’ follows; it’s a rather more haphazard melody and the lyrics “I’ve seen the rings of Saturn in the craters on the moon” and “Oceans of Venus in the middle of June,” showcase a spacy peculiarity that match the odd phasing swirls and spindly synth lines of the music. Her version of Peter Schilling’s ‘Major Tom,’ previously appearing alongside the likes of Daniel Johnston on Irwin Chusid’s outsider collection ‘Songs In The Key of Z,’ sees the Casio at perhaps its most haunting; the frantic restlessness of the eerie synthesised sounds in some of the verses seem to provide a spooky evocation of some lost computer game from the 80s and, for someone of my generation at least, a haunting nod to childhood. ‘Ghost Riders In The Sky,’ a classic covered by everyone from Elvis and Johnny Cash to Buckethead, is a key example of how the term ‘cover’ can only be used loosely in regards to The Space Lady; her offbeat delivery assuring that connotations of cowboys, horses and Westerns are replaced by visions of the outer reaches of the cosmos. By the time we get to The Sweet’s ‘Ballroom Blitz,’ one has perhaps grown wearied of the one dimensional sound and a stark idiosyncrasy that has started to become cloying. It is possibly The Space Lady’s least successful cover and the song is robbed of its swagger and melodic urgency. The most interesting thing about Dietrich is the story of her life and the path that has led us to this release. 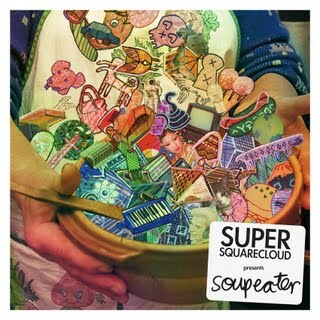 The spectacle of street-dwelling eccentric, happily delivering tunes to strangers is one that puts a smile on my face. However, as a pure, home listening experience, the appeal of ‘Greatest Hits’ is not quite as strong. After a long hiatus to look after her elderly parents, The Space Lady has once again taken to the streets in her native Colorado. Rather than a recording artist, this is how I prefer to think of her: of adorning the winged helmet once more and keeping her romantic tale alive. Like the opening of a Bond film, Storeys takes you straight into the action from the the first track, Believe Me Richard, a rollicking car chase of a song that’s jam packed full of melody and even finds time for a quick Beatles tribute. And so begins the latest in a musical career for John Howard in two acts. The first, started in the folk clubs of Greater Manchester and London in the early 1970s from where he was signed and later dumped by CBS. The final heartbreaking scene was his piano lid closing as he walked off into a career in music A&R. The second is much more on his terms and started ten years ago after being brought out of his songwriting hibernation by renewed interest from a younger, online and social media savvy audience. Revitalised by these new fans he has been churning out some of the best music of his career during the second act of the John Howard story, from lovely melodic pop to sweeping Brian Wilson-esque sound scapes. 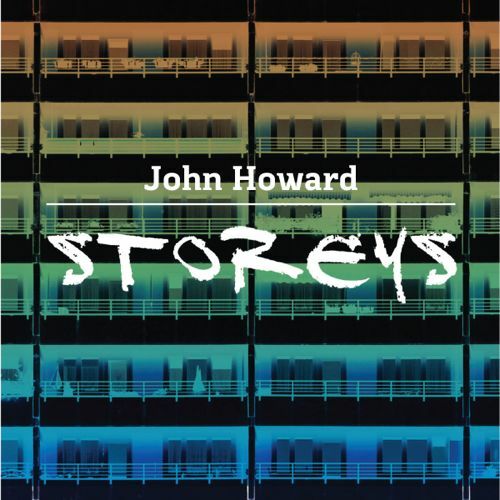 On what is now his 12th studio album we find Howard still in reflective mood, still bringing in his personal memories into the lyrics but mainly focusing here on different lives, specifically of 12 people living in an imaginary apartment block. Among the most heartfelt of those characters is the protagonist in Permanently Temporary, remembering a relationship with such clarity it’s like the listener was there. Another of note is Siblings, which at almost eight minutes is a sweeping epic song full of twists and turns and all anchored by some fine piano playing. It starts off dark, full of catholic references to death and guilt before this almighty broadway-esque chorus rises resplendent. And what a chorus it is, in a normal three minute format it would be good but saddled here among the Catholic darkness it is extra special. Across the tracks there’s a real sense of timelessness from an artist who was learning his craft more than 40 years ago and still has the keenest sense of what makes a good song in this new age of home recording, self marketing and online promotion. I won’t comment on all the songs. But one extra track I’m keen to mention is Right Here, Right Now. The title of this three minute gem seems to sum him up perfectly, as he emerges from the past to be a man very much of the present, influencing and playing alongside other generations of musicians, such as Darren Hayman, Robert Rotifer and Ralegh Long. He has already contributed to a solo album from Hayman as well as tracks for a sampler for the new label Gare Du Nord that has been started by Rotifer, Long and former Death in Vegas man Ian Button. In addition, Howard will be playing a rare London gig supporting Ralegh Long at The Servants Jazz Quarters on 27 November. Click here to read our feature on John Howard. After watching this video for Antitaxi, the opening track on the debut album from Bairritz based surf popsters La Femme, I’m fairly convinced they are just about the coolest band on the planet, well, in France at least. Set in a frantic, cool as you like French club this video shows the band ooze style; and as for the music, well, its so far up our Rue its bought a house on it and moved in. Mixing surf guitar, synths, psychadelic rock plus an underlying Devo like punk/new wave sense of fun and edge, they have it all for us. Then when I read the press release and they just get even cooler. While hanging around a surfing contest in Biarritz, the blurb tells us, they met some California surfers, made friends with them, saved some money and then spent three months in the US state packing in 27 gigs. At 16 tracks long, including a bonus cover at the end of Chuck Berry’s Baby Doll, it is either a bargain or could do with a little editing depending on your propensity to get up and dance to odd ball pop music. Even at my advanced years I can still give it a go and there’s plenty on here to please the fleet of foot. Amour dan le Motu is immediately a contender for single of the year, sounding somewhere between surf pop and Japanese act Pizzicato Five. 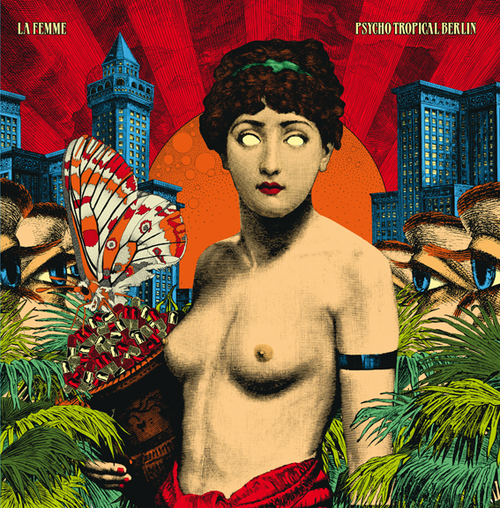 While Sur La Planche 2013 has lashings of catchy guitar and synth hooks. There’s also times for an angular and psychedelic take on the whole genre of pop with Nous étions deux. As debuts go this up with there with the best of them. It has been several years since I was first impressed by The National when they played at the Explosions In The Sky ATP Festival in 2008 and I’ve been keen to see them live again since. They don’t play lots of gigs in the UK and this event, one of two sold-out nights at Alexandra Palace, is part of a very small UK tour. I didn’t manage to grab tickets to their Roundhouse gig in June so I was pretty excited about seeing the band play some of the best music of the last decade live on stage. The band seem a little bit nervous, and the cavernous venue and huge crowd must be pretty overwhelming to a band who are far from a household name despite their considerable success. 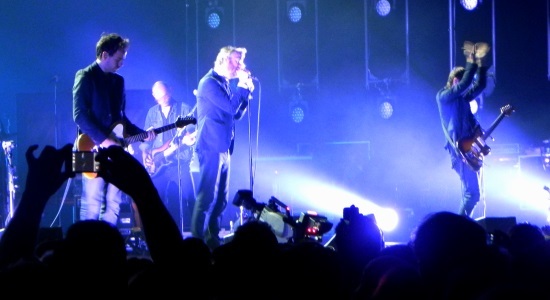 Singer Matt Berninger is a little difficult to watch as he paces like a caged lion between each song and there is next to no audience interaction. When the music starts it is a different story and the songs, drawing heavily from this year’s release Trouble Will Find Me, sound great. They are a band who are impressive on record, but pretty much every element of the sound works that little bit better in the live arena. The central five-piece are augmented by their usual live band expansion adding keyboards and trombone and on lots of the songs tonight a string quartet adds an extra dimension enabling them to be closer to the album arrangements. As the set progresses, taking in fan favourites from Alligator, The Boxer and High Violet, the band relax and we get more chat, audience interaction and a few anecdotes from the band. They get an enthusiastic and warm response throughout the set and this clearly settles the butterflies in their stomachs as the gig goes on. The core of this band is a near-perfect set-up. 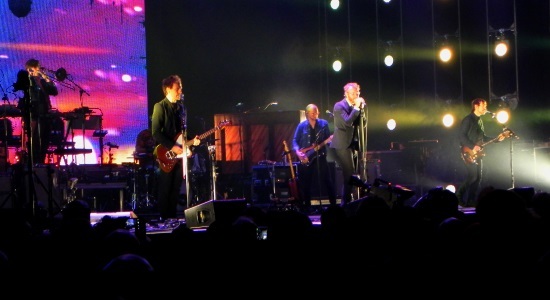 The Dessner twins holding their guitars in the air in unison, the Devendorf brothers laying down complex beat perfect rhythms and Berninger lurching between baritone croon and basnshee wail to great effect. Drummer Bryan Devendorf in particular is a revelation and the sound he produces is a hypnotic backbone to the songs. ‘Graceless’ from their recent album is one of my least favourite of their songs, not helped by the ubiquity on 6 Music, but the way the drums and bass drive it live makes me reconsider my opinion. The song choices are not all perfect, I would have taken the incendiary ‘Abel’ over a version of their underwhelming contribution to the Hunger Games 2 soundtrack, but in the most part the song choices are just what I’d hoped before the evening began. And any set of songs that includes the brilliant ‘Mr November’ as part of the encore is a good one.